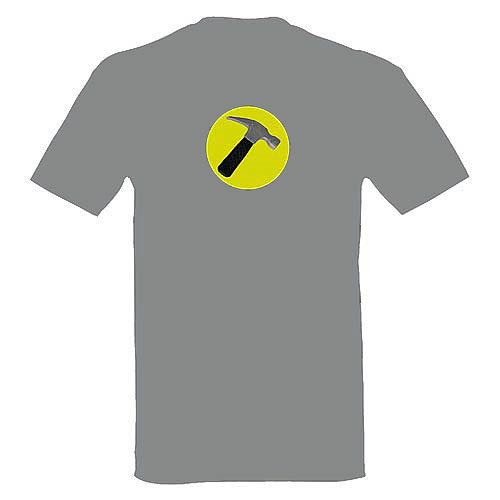 Defeat Dr. Horrible with this Captain Hammer T-Shirt! Based on the actual designs used in Dr. Horrible's Sing-Along Blog! Dress like your favorite hero! He's everyone's favorite narcissist: the dashingly handsome Captain Hammer, who craves adoration and is always ready to fight for what's right - as long as it doesn't muss up his hair. He's a multitasking super hero, battling Dr. Horrible, flirting with the ladies and showing his well-toned body to best advantage. Lucky for Hammer, he has us to keep him flexing in style, with this Captain Hammer Replica T-Shirt. Quantum Mechanix worked with Dr. Horrible costume designer Shawna Trpcic to exactly replicate the shirt worn by Nathan Fillion in Dr. Horrible's Sing-Along Blog. Order yours today!